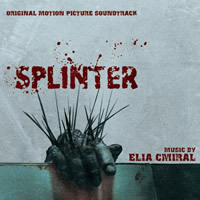 BUYSOUNDTRAX Records presents the original motion picture soundtrack to SPLINTER, featuring music composed by Elia Cmiral. SPLINTER is a limited edition release of 1000 units. The first 100 copies ordered through the website will include a booklet signed by composer Elia Cmiral.